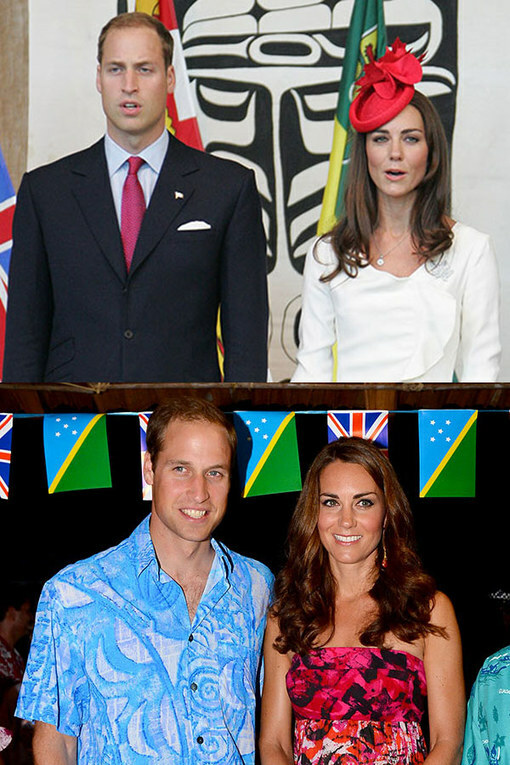 Home / Entertainment / News celebrities / Prince William and Kate Middleton: New parents! Prince William and Kate Middleton: New parents! The world celebrated last night as it was revealed that Kate Middleton and Prince William are new parents to a baby boy - our future King. The media gathered outside St. Mary's Hospital's private Lindo Wing in anticipation of the big news, which was eventually released via press release. Kensington Palace announced: "Her Royal Highness The Duchess of Cambridge was safely delivered of a son at 4.24pm. "The baby weighs 8lbs 6oz.The Duke of Cambridge was present for the birth." The official written announcement was then placed on an easel outside Buckingham Palace for the gathered hordes of royal fans to see. To celebrate and in anticipation of seeing the baby for the first time, we've decided to take a look back at the new mum and dad's eight-year love story.